Data is everywhere – which entails that data is too much for manual observation, monitoring or processing. 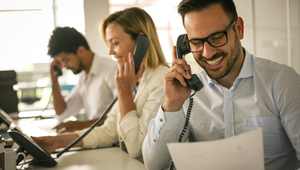 In the past, the performance and efficiency of a contact center agent depended on the supervisory skillset but nowadays, analytics have revolutionized the way to get feedback. By using high quality analytic tools that often come with state-of-the-art VoIP solutions like Vonage, companies can generate actionable insights from data like SMS messages, call recordings, chats and call histories. By using the modern analytics programs, call centers have started to build customized dashboards that reflect the most pertinent statistics of a business. By displaying these statistics on central user interfaces, companies ensure that managers and agents stay in the loop and get real-time updates on the happenings. For example, by analyzing call conversions, scores can be assigned to every lead; research has revealed that the lead quality score was 65 percent higher for calls that did convert compared to the unconverted calls. In 2018, it’s expected that more and more companies will give such programs a shot to enhance the levels of customer experience. When it comes to establishing a competitive advantage, businesses relied heavily on prices and product quality but nowadays customers want a lot more; they want to feel involved, they want to be rewarded and they want to have a prosperous relationship with a business. Digital transformation can be defined as the changes related to the inclusion of modern technologies in all parts of human society and in the years to come, we expect the customer experience aspect to be further transformed as well. Technologies like machine to machine communications courtesy the internet of things and omnichannel communications will define the transformation strategy that will be pivotal for a business to establish its competitive advantage. The strategies should include integration of all interfaces that interact directly with the customer with the core components of the business like the CRM and VoIP services. Unified communication and collaboration tools are expected to become a hot choice for the majority of the front-running businesses. Omni-channel communications have been a hot topic since 2016 and they have since been the hallmark of the proactive businesses who like to stay ahead of the rest. By ensuring that customers always get the best experience, regardless of the communication channel they use, companies are enhancing revenues and customer satisfaction rates. Businesses have started to realize that a customer’s journey might start on one channel but their priceless feedback and real-time insight might be getting obtained on a different channel so it is basically a need of the hour to keep everything interlinked. Not only do omni-channel communications enhance customer satisfaction, they also allow companies to get a better idea of the customers’ mindsets which makes them more capable of resolving their issues in a timely fashion. 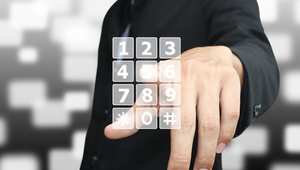 By the usage of top VoIP phone services, companies are able to give their agents the luxury to take calls remotely. With reduced overhead and the flexibility of working hours, the number of remote contact center agents are expected to increase in 2018. Cloud communications are only getting better with every passing year and that has made it easy for workers to be able to work on-the-go. Not only can agents interact with customers using their work mobile, they can also access real-time statistics and analytics that can help them ensure a fulfilling customer experience. Cloud communication has already become a part of many businesses but in 2018, we expect the numbers to rise even further. Agents prefer workplaces that have the flexibility of working remotely and cloud communication services have allowed businesses to have the seamless collaboration that can afford that. This makes global expansion a considerably simpler job as communicating efficiently with global teams is possible without any hassle and huge costs. Artificial intelligence has transformed almost every walk of life and in 2018, it’s expected that businesses are going to invest more and more into predictive analytics, which are destined to help in the streamlining of call center experiences for both workers and customers. By automating various communication channels and bridging the gap between different customer-facing interfaces, businesses can harness the true powers of artificial intelligence and ensure higher levels of customer involvement. According to Oracle, 80 percent of all businesses have already incorporated or are planning to incorporate AI in their customer service solutions. If there is one thing that’s constant in the technological world of today, it’s change. The call center landscape isn’t the same as it was a decade ago but by the end of this year, it will not even be the same as it was in 2017. We have already seen the paradigm shifts that saw businesses switch from traditional telephony to modern VoIP services and from manual call analytics to advanced analytics via sophisticated tools, and in the years to come, we should expect transformations along the same lines.